Arebella is a sleeping baby. 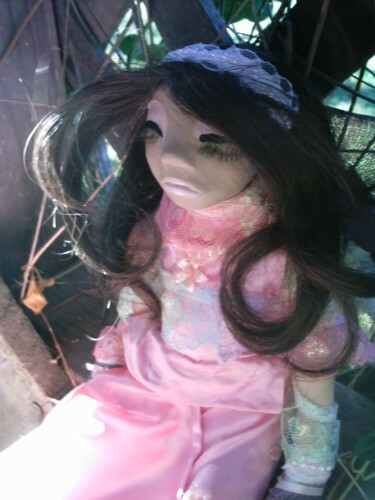 She is an Asian Faerie Princess, wearing a pink satin outfit (Handmade & Permanent). Her outfit is adorned with several beads and flowers (some sewn & some glued) and trimmed in multicolored lace. She wears little Lavender mittens to compliment her unique outfit. 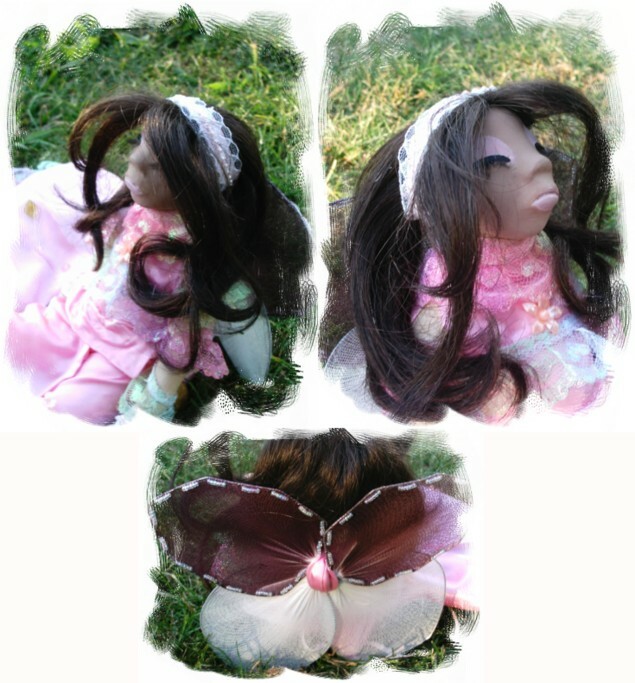 Her dark brown hair is adorned with a beaded headband fit for a little Princess. She wears Hand beaded nylon wings of Wine & White. Her sleeping eyes are adorned with eyelashes. Arebella is approx. 13 and 1/2 inches long, 6 and 1/2 inches seated. $65.00 + S&H.